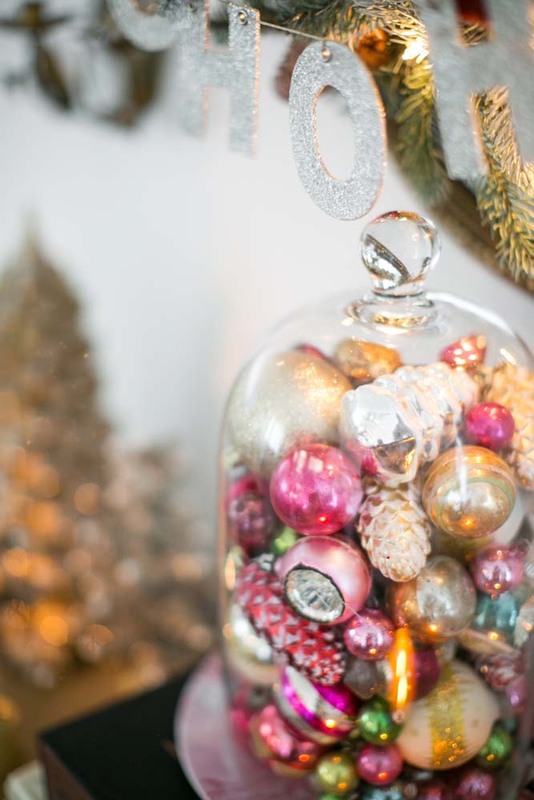 We're excited to have Victoria Smith of Sfgirlbybay as our guest today on A Holiday Vignette. 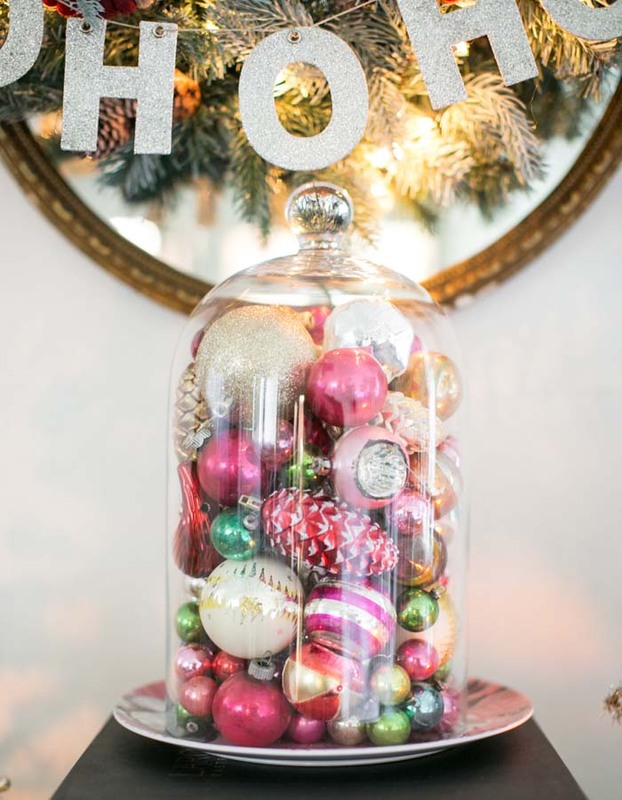 Victoria as many of you know has exquisite taste and masterfully creates the most beautiful eye candy for decor on the web on her blog. We love her sense of style and are continually inspired! Let's take a look! 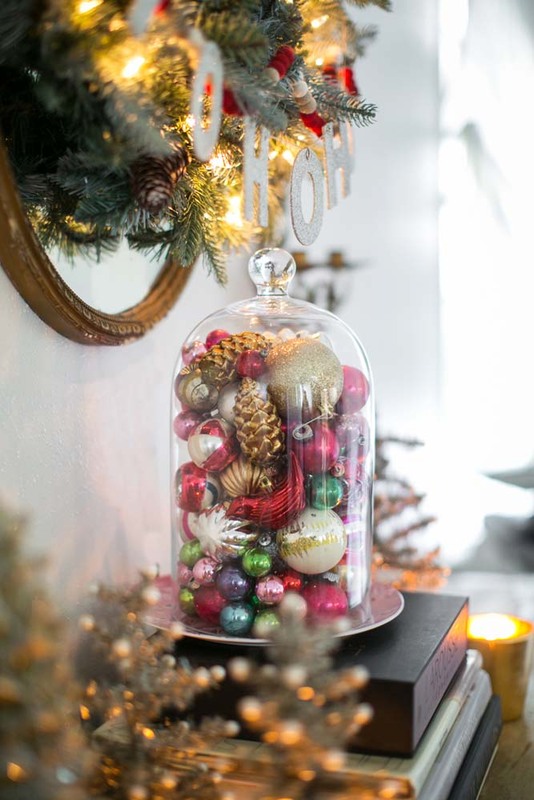 I have a pretty good collection of vintage Christmas bulbs and instead of hanging them all on the tree, I thought I'd like to display them in a glass cloche this year. I don't have a fireplace mantel (sigh) so I kind of created one on my dining room buffet. 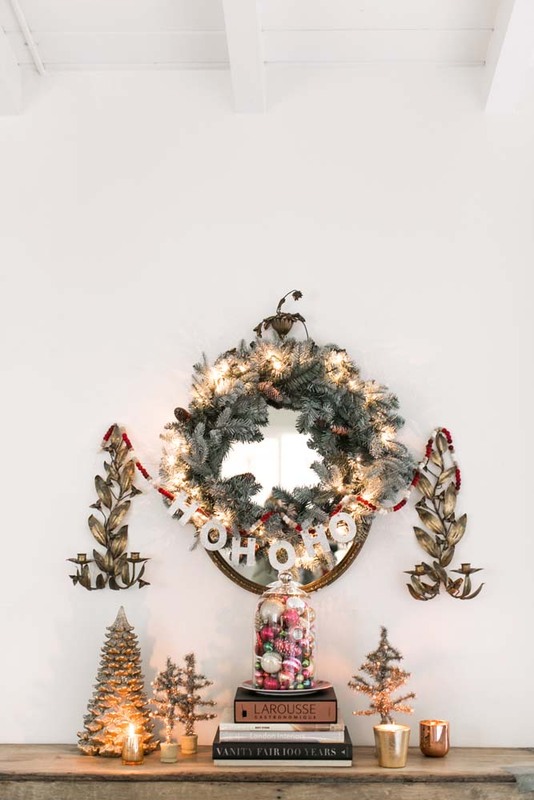 I hung a 'Ho Ho Ho' silver garland and put out a few vintage Christmas trees and candles, and added my cloche full of ornaments. Well, it's one from my childhood, and is a wonderful memory of my dad who passed away a few years ago, so it's not something we do any longer, but I highly recommend it as a new tradition for parents with small children! My dad had this really ridiculous and totally sweet ritual where after we’d opened all our presents we’d sit down for breakfast and as we were eating my dad would say, “Wait! wait! I’m pretty sure I heard Santa over here last night!” He’d then scurry off to some hiding space and bring out an extra special present for me, my brother and my mum. We always sort of expected he’d pull this trick each year, but still the anticipation of it, and my dad’s utter joy in doing this brought me as much happiness, if not more than the present itself. - I'm all about giving books. Print is not dead! 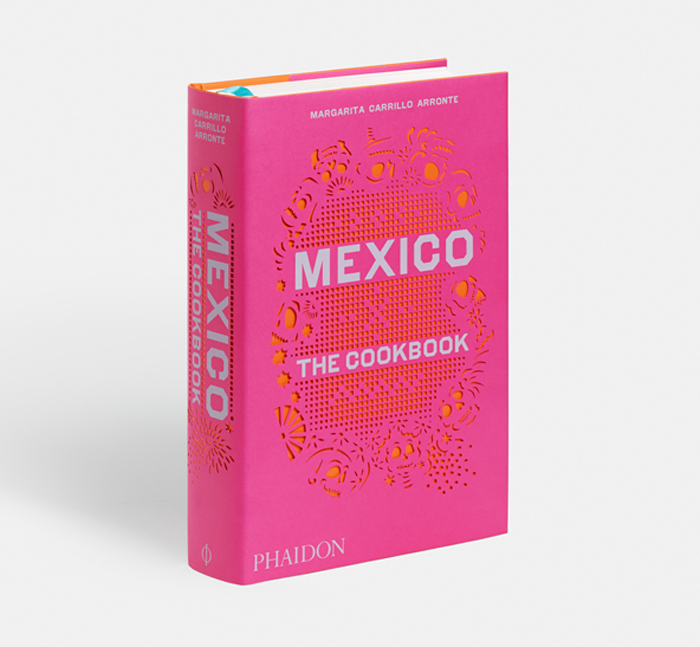 I love Phaidon's art books, and their cookbooks are gorgeous. A particular favorite this year is Mexico by Margarita Carrillo Arronte. Just a stunning design inside and out. 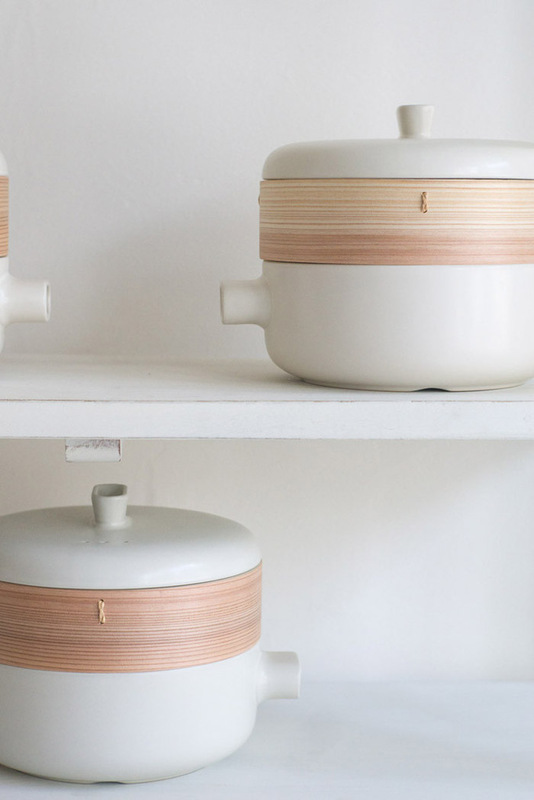 - I guess I'm into cooking this year, because I also am gifting this modern Japanese Steamer from Quitokeeto - it's almost too pretty to cook with. 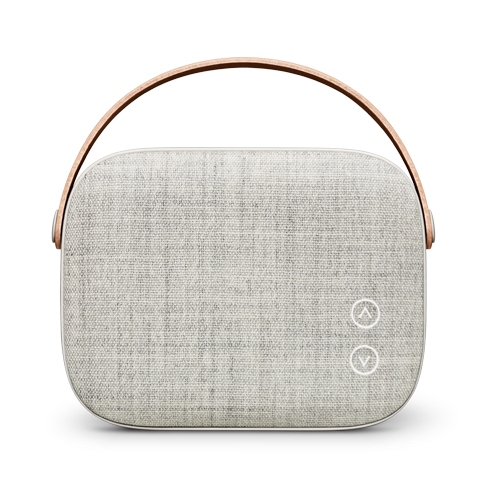 - For my nieces (shhhh) I love this new speaker from Vifa - it's called the Helsinki and it's so cool looking in sandstone gray. 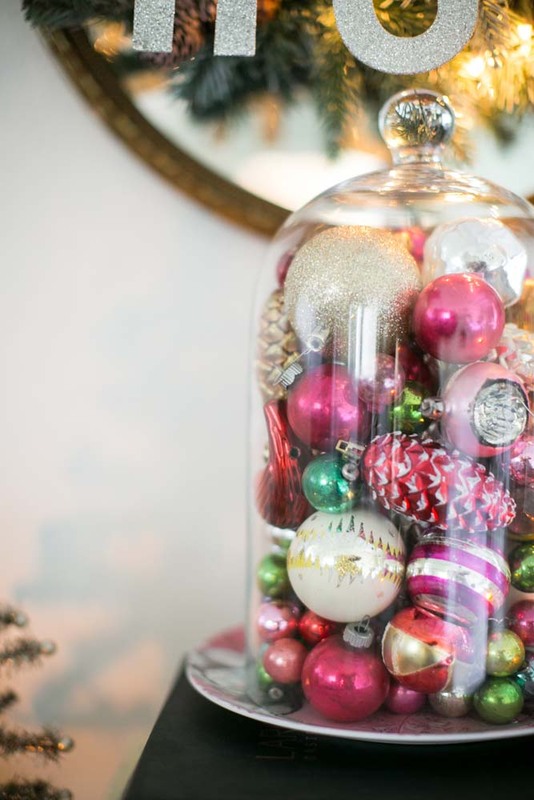 Ooh, I like that idea for displaying Christmas decorations. 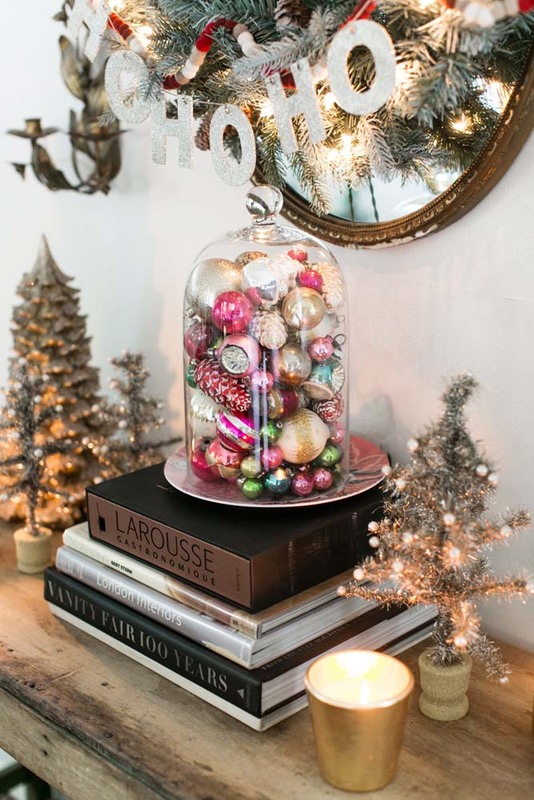 I've scored a handful of vintage gems and a glass bell jar is a perfect solution. Katie crackernuts - fun right!